Rotator cuff injury requires careful rehabilitation before going out to the course again, even to practice. The rotator cuff is a collection of muscles in the shoulder. The tendons of these muscles can become torn as a result of injury, stress or repetitive motion. It is a relatively common stress-related golf injury and it can easily be made worse if it is not cared for properly. Although there is a lot that can be done on your own to care for these injuries, you should always see a doctor first and establish a plan of care. See a doctor as quickly as possible after the injury. If you are golfing or partaking in another activity, stop the activity as it can exacerbate the problem. Some torn rotator cuff injuries will not heal properly on their own without surgical intervention. Even if you don't need surgery, a doctor will be able to give you customized advice for caring for the injury and you might be prescribed medicines or treatments. Take oral anti-inflammatory medication regularly unless advised otherwise by your doctor. If your doctor did not mention anti-inflammatory medicine but prescribed another medicine, check with her first before taking an over-the-counter anti-inflammatory. Make sure you take all medications according to the directions. They will help reduce pain and swelling while you recuperate. Stabilize the shoulder. The best way to do this is to wear a sling, which can be provided by your doctor or purchased at a drug store. Limit movement of the shoulder as much as possible, get lots of rest and avoid raising the injured arm at all times. Receive cortisone injections if they are prescribed by your doctor. Cortisone injections are common treatments for relieving the pain of a rotator cuff injury and speeding recovery. These injections are performed by the doctor. Engage is physical therapy as prescribed and directed by your doctor and physical therapist. A carefully planned regimen of simple exercises can be instrumental in a speedy rotator cuff recovery. However, if you begin exercise too early, choose the wrong exercises or over-exert yourself, you can do more damage than good. Defer to the judgment and instruction of medical professionals when rebuilding your strength and repairing your muscles. 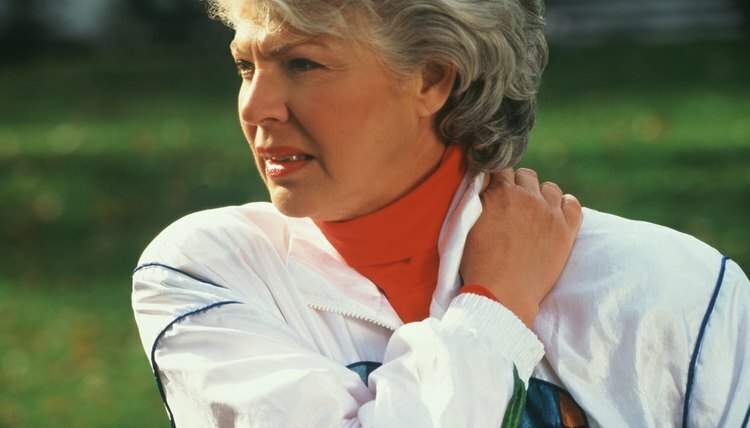 Consider having rotator cuff surgery if it is recommended or suggested by your doctor. The most severe of these injuries will require surgery to restore even the most basic movement of the shoulder, but there are many types of rotator cuff injuries that might fall into a "gray area" where surgery is optional. Work closely with your doctor to make an informed decision.